The Leadership of the NDP now suffers from "Christieitis"
Nassau, Bahamas — Members of the National Development Party are the latest group to be diagnosed with having “Christieitis” according to a medical professor in psychology at St. Georges Hospital in the UK. The first to be diagnosed with the debilitating psychological disease was Ingraham, who we are told, is in the advance stages of the rare condition. Christieitis, the medical term now given to the disease, delivers its victims in a rare state of paranoia and fixation on the leader of the PLP, Perry Christie. According to our specialist, the condition eventually leaves one brain dead; having no ability to think beyond 2002 – 2007; blaming Christie for everything that is wrong in the country, despite the fact that the former Prime Minister has left office for almost four years. In a presentation yesterday to the press, members of the NDP presented a plan to deliver 10,000 new jobs in record time. Members of the Party, however, in their failed exercise, begun a rant on Christie, displaying already advance stages of the disease. 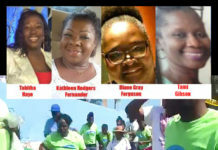 The group claimed Christie has no plan and that he failed to find methods to create programmes to empower and employ Bahamians into secure jobs for the future. Again, at that press event, the organization delivered a pass to Hubert Ingraham, current Prime Minister and the man who has driven the Bahamian economy into a ditch of despair, abandonment and hopelessness. Had members of the NDP not caught so quickly Christieitis, they would have remembered that in 2007, Perry Gladstone Christie left the Bahamas with record-breaking single digit unemployment with a Standards & Poor’s rating which gave the Christie government an “A” rating grade for its fiscal prudence in effectively running the country. Under Christie, unemployment was down to signal digits; residents didn’t need a job stimulus because up to 2007 they were working 2 and 3 jobs. The NDP and Ingraham would have also remembered, Christie slowed the national debt and expanded the economy in 5 short years, making it more robust than the days of the Pindling era or during Ingraham’s first term in office. Christie’s plan of real deliverance to the people of the Bahamas created thousands of new jobs, putting back to work the unemployed of 2001. Christie built more than 7 new residential communities placing more than 5,000 families into their own homes for the first time. Under Perry Christie, thousands attained tertiary education through government grants now cancelled by this WUTLESS INEPT INGRAHAM GOVERNMENT! Members of the NDP should note the fact that Hubert Ingraham is Prime Minister of the Commonwealth of the Bahamas, not Christie! They should note it is he who STOPPED, REVIEWED and CANCELLED opportunities for thousands upon thousands of working class Bahamians. Ingraham has kidnapped the middle class and has fired public servants in this period of austerity. Hubert Ingraham suspended the government guaranteed loan programme, which gave opportunity to further educate young school leavers. It was Ingraham who cancelled a school in MICAL and who cannot complete a school in Oakes Field. Hubert Ingraham, the NDP should note is its boss who has increased unemployment throughout the country and has landed Bahamians jobless. The NDP should go to Grand Bahama and witness the debilitating conditions in FNM country; a city is wailing under, the climb to poverty, which is a status delivered to that community by Hubert Ingraham and FNM. The NDP as it protects Ingraham, should take a closer look at the stimulus and line of hope he has thrown to money backers. The NDP should investigate how Bahamas Hot Mix,said to be partly owned by Brent Symonette, is benefactor #1 of this WUTLESS GOVERNMENT. Ingraham has delivered a stimulus to the Argentinians to build roads. Christie proved that Bahamians can build. Ingraham delivered a second stimulus to the Chinese to build the road to ‘nowhere’ from the airport; a construction, which will cost Bahamians unborn, more than $10 million per mile, according to Philip ‘Brave’ Davis. And finally, the NDP should make a careful note of how Hubert Ingraham delivered another stimulus package to 19 wealthy FNM benefactors to extend and build a port for themselves, while dishing out more than $26 million of taxpayers money to complete the exercise. WHO ARE THE 19 wealthy families profiting from that project? The NDP should quickly seek treatment for its debilitating disease and point its political fingers to the right face of failure now running the Bahamas, Hubert Alexander Ingraham. But as we like to say, some people just have no DAMN SHAME! Next articleZNS 1540AM now restored for Emergency Broadcast…After TWO MONTH OFF AIR! yall get uptight like a true bahamian. People come to your website for news and good news so be fair. You guys whether you know it or not will play a major roll in decision making for some folks for who they vote for. The country voted the PLP out with all the so called good they done. The PLP and FNM Leaders are done as far as I can see until they disappear from Politics and looking at their age they might die in those chairs, if Bahamian dont give a sensible 3rd Party a chance then we doomed. NDP man yall joking and hiding, this is 2010 man show your face if your serious or move on. How is the NDP hiding? They’ve been on TV the whole of last week as I remember. I even checked out their job creation plan… smart stuff there. These jokers. NDP is a real ******** joke. how? They seem like honest and fresh new faces to me.. BP brainwash you too eh??! We are brainwashed? Well perhaps we are also washing your brains too eh? Tide and bleach please…LOL! According to the latest figures released by the Department of Statistics, more than 35,000 persons are unemployed, including discouraged workers, representing 18.1% percentage of the labour force. 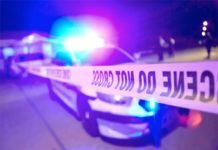 That figure is alarming and when combined with the impact of persons who will graduate from our schools in a few short months, it is easily evident that we have a crisis on our hands. 1. The right honourable Perry Christie said, “There is no Plan B”. In other words, he does not believe there is any prospect for job creation outside of what Baha Mar might generate. 2. The honourable Zhivargo Laing lauded the government’s decision to spend almost $1 billion to create 2,500 temporary jobs. The government’s response to the economic crisis has been to construct roads, roads and more roads. No analysis appears to have been done to determine whether road building was the best use of the country’s borrowing capacity at the time. Indeed, we challenge the government to produce the analysis that was done to show that the road project was scientifically considered within the current economic climate. And we further challenge them to demonstrate that the objective of traffic alleviation is being realized. The government has been both reckless and unimaginative during this period of tremendous economic challenge. Only the PLP has performed more dismally by not proposing a comprehensive and clear job creation strategy. The Bahamian people need a government and an opposition that are imaginative and bold enough to propose solutions to difficult and even deeply entrenched problems. In this new and exciting political dispensation, the NDP is pleased to submit a clear plan, which, if implemented, would generate 10,000 jobs within 18 months. 1. The large number of entrepreneurs who are currently engaged in the marine sector. 2. The high level of poaching that continues unchecked. 3. The limited degree of scientific methods that are employed in the sector. 4. Limited value added capabilities. 5. Limited exploitation of key resources. Those factors together create a tremendous potential for growth and development of the sector. The NDP will bring together the public sector, marine biologists and fisherpersons to develop a comprehensive marine policy that takes into account such matters as conservation, resource identification, resource exploitation, cooperatives, reduction of poaching, training and skills development. 1. In collaboration with a university that offers marine studies, construct a facility in Andros that caters to Bahamians as well as non-Bahamians who are interested in marine studies. By virtue of its biodiversity, the island of Andros presents a unique opportunity for persons from around the world to study. 1. Encourage the exploitation of deep sea resources. 1. 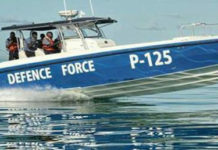 Engage marine patrol persons to patrol the waters of The Bahamas. 1. Employ technology, inclusive of satellite imaging and infrared buoys across the country that will allow for the identification and apprehension of poachers. 1. Encourage the development of aquaculture facilities by way of joint partnerships with non-Bahamians. 1. Sponsor marine expo where foreign buyers can come and learn more about what The Bahamas offers in the area of fisheries. 1. Promote a more consistent presentation of local catch while encouraging Bahamians to build a strong economy by buying local seafood. In view of the fact that the long-term outlook for fuel prices is not positive, The Bahamas has a tremendous opportunity to take practical and decisive steps to reduce the import of oil and related products while increasing employment in green energy. The NDP will encourage lending institutions to allow qualified borrowers to increase their existing indebtedness by the cost of retrofitting their homes and other buildings with energy efficient devices including solar water heaters, solar panels, energy efficient light bulbs, gasoline dryers and energy efficient air conditioning units. To encourage those activities, an NDP government will eliminate the duty on energy efficient devices. Furthermore, through a Smart Energy Loan Initiative (SELI), an NDP government will make loans of up to $3,000 available to not more than 33,333 households. To qualify for such loans, borrowers will have to demonstrate through the submission of a certified energy audit report produced by a recognized Energy Technician that the 3 year savings derived from the installation of the energy savings equipment and gadgets will at least be equal to the amount being borrowed. The borrower will be required to continue making the same payment as per normal to BEC with the amount in excess of their actual bill going towards repaying the loan. As for BEC power generation, we will approve the construction of a waste to energy plant, which would reduce our BEC fuel bill by 20 %. The spinoff by-products of the plant, which will include glass, organic matter (compost) and fly-ash, will also have meaningful economic value. For instance, the Glass could be converted to fiberglass, the organic material could be used to create bio-fuels for our public transportation system and the fly-ash could be used as materials to construct roads and bridges throughout The Bahamas. An NDP government will immediately appoint an Energy Conservation Czar who will ensure that Bahamians remain sensitized to the importance of conserving energy. An NDP government will move speedily to consolidate all public busing companies under a single private entity. Meanwhile, the government will provide the requisite funding for the construction of multiple depots in strategic locations throughout New Providence. In addition, an NDP government will provide loan guarantees for the purchase of an appropriate number of new buses and equipment upgrade that will ensure that public transportation in The Bahamas finally moves into the 21st century. The transportation system will also include a comprehensive school busing system. Provision will be put in place to ensure that buses are safe and that they handle only a limited amount of cash. Reliable schedules will also be developed. Patrons will be able to check the position of buses in real time using their cell phones after the entire island of New Providence will have become a wi-fi/wireless hub for internet service. Each public bus will be outfitted with GPS tracking. Not only will this initiative create construction jobs and more jobs for bus drivers and administrators, but it will reduce traffic congestion, reduce the country’s import bill for fuel and cars and contribute to a more productive worker. An NDP government will encourage a massive upgrade and extension of existing private schools and construction of new private schools through the creation of a US$100 million School Enhancement Fund. This fund will be accessible at a very low rate of interest, 2%, and will be operated by a commercial enterprise. This initiative will result in a boost to the construction sector, encourage the expansion of high performing schools and reduce the demand on the government to construct schools in the future. Training will include ways to exploit greenhouse, hydroponics and other modern framing techniques as well as identifying and exploiting organic and niche farming. An NDP government will hire 20 retired teachers to provide structured training for up to 500 teacher’s aids who will be placed in our classrooms to assist teachers. 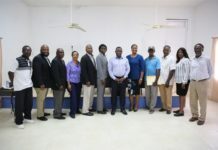 Following their training, which will also include stints at the College of The Bahamas, these teacher’s aids will also provide after school programs. Along with stakeholders in the agricultural sector, an NDP government will develop a comprehensive agriculture policy. Moreover, an NDP government will provide loan guarantees and requisite land to persons currently employed at the Department of Agriculture to start their own businesses while providing them with 5 year contracts to offer on-sight training to aspiring farmers. 1. Mandate that 25% of all government contracts be awarded to small businesses. 2. Require that except for purposes of national security or requirements of foreign lenders, all government contracts will be awarded to Bahamian businesses. An NDP government will work tirelessly with leaders of small states to highlight the global economic benefit of removing loan covenants from development banks, which require the employment of foreign contractors. 3. Reduce by 1% the business license fees payable by commercial banks for every 1% increase over their 2009 loan distribution to the small business sector at rates not exceeding prime plus 2%. An NDP government will engage persons to digitize government offices including the office of AG, Lands & Survey, Ministry of Works, Registrar Generals Office, the Ministry of Health, the Ministry of Foreign Affairs and the Passport Office. In short, a digital platform will undergird the entire public service allowing data from one Department or Ministry to be available to other parts of the public sector within specified guidelines. An NDP government will identify specific lands throughout The Bahamas for specific developments including tourism, education, agriculture, and green energy. Bahamians will be invited to apply for such lands and will be given up to 18 months to secure the necessary capital for the development of the same. In other words, the government will provide an undertaking to Bahamian investors that should they obtain capital for development of selected properties, the same would be conveyed to them with clear stipulations. In order to ensure the success of this initiative, the government will sponsor trade shows where Bahamians will be able to meet potential local and foreign investors. All Bahamian embassies will be tasked with promoting this important initiative. Once implemented, the above initiatives will result in the creation of more than 10,000 jobs and hundreds of entrepreneurial opportunities. The cost of the initiatives to the government will be $30 million annually in recurring expenditure; and $35 million in one time capital expenditure. The government will also guarantee loans of up to $225 million. Most of the guarantees will fall away within 4 years and all within 10 years. The overall increase in tax revenue over 5 years is expected to exceed recurring and capital expenditures by $200 million. Those initiatives will help to lift The Bahamas out of recession, broaden our tax base and give opportunities to countless who desperately need to provide for their families. This is not the time to engage in blind partisan politics that reward persons based on the colour of their t-shirts. It’s time for us to turn the page. It’s time to start a new chapter in The Bahamas where our standard for good governance exceeds empty tough talk; and where our most important economic strategy is more than traveling around the world with cap in hand. Need we say more. The NDP in this WUTLESS press release issued Nov. 3rd attacks Perry Christie but never mentions the name Hubert Ingraham, the current Prime Minister. THEY HAVE NO DAMN SHAME! NDP UPDATE IS COMING SOON…STANDBY! my question to bp is were you present at the press conference? Is your reporting from first hand knowledge or are you regurgitating something that you overheard. This whole story is false and in your attempt to crown Mr. Christie with a crown of jewels you blindly disregarded the content of The NDP’s press conference. I suggest to you that you put real investigative reporters to work which will be more beneficial to The Bahamas. Unemployment which includes discouraged workers is 18.1% of the labor force in real numbers we are talking 35,000+ Bahamians and all you can do is bend on your knees in front of Mr. Christie and spit your reward into the Bahamian peoples faces. Get real Bahamas Press The NDP shows favoritism for neither Mr. Christie or Mr. Ingraham our position is that they both FNM & PLP) needs to go and stay out. Your job is to be unbiased and dissiminate information to the public. Tell the truth and shame the devil. Can you tell me what else was said by the NDP during that Press Conference? We have no interest to what happened at the press conference because we know it was a load of bull! From what we know we outlined what we needed to hear. The NDP suffers from Christieitius and gives Hubert a pass. The numbers we present are accurate and true. You cannot dispute the fact that the S&P gave the Bahamas an A-Rating and again there was NO NEED FOR A JOB STIMULUS because joblessness was not an issue in the Bahamian society. FACT IS, UNEMPLOYMENT WAS LESS THAN 8%! THAT IS FACT! Does the NDP know what the UNEMPLOYMENT NUMBERS ARE NOW? But you characterized Christie for the state of UNEMPLOYMENT, when it is Hubert Ingraham that is in charge. If the NDP cannot accept the past, they clearly cannot forsee the future, because they are IGNORANT OF THE PASS! There exist a hunger and thirst for information about our country however deficient it may be.When you are miles away even dirty water served with unseasoned food looks appealing. You have missed the mark in this article on so many points its not funny. So what did the NDP actually say in thier press release? I failed to see the information in the midst of your apology for Perry Christie. More beef BP!! You have the attention of many. You are being judged -not by your ability to produce content. You will ultimately be judged by the quality of your content. So far – Ability to get a story out-A. Accuracy of your stories-C-. Impartiality- F-. Well Bahamajoe just how you contacted us, the WUTLESS NDP could contact us, but they have refused to include us on its material circular. We get Intel however, and how we see what they said stay with us. Funny, this the same ‘news site’ that get bite up by a bunch of fellas on Facebook when the NDP ‘contacted them’! Try saying what you just said in a letter to the Tribune. You would never make the pages. BUT THANK GOODNESS FOR BP! Ya tired of our crap but at least we give you the opportunity to say so. WE REPORT YINNER DECIDE! Keep reading! well if i must i must “Christideitis” did all these wonderful things you just list but u fail to mention he didnt curb violent crime he fail to appoint a single judge to the supreme court he had 20 billion. let me reapeat that 20 billion in direct foriegn investment injected into the Bahamian econmy,wait we still lookin for actual proof of that he sign off on Baha Ma in 2005 an i could go on an on but Media u get the point an we the Bahamian ppl still voted his xxs into the opposition chair an u sayin you fair an balance or let me guess you are the Bahamas version of FOXNEWS GOOD LUCK AN AGAIN GET OVER IT OPPOSITION YOU ARE AND OPPSITION is where u will stay with your “CHRISTIEITIS” an all.